Lokomat - is a modern rehabilitation system for the recovery of walking skills. Recovery on Lokomat - one of the most effective for patients after complicated brain injuries, spinal cord injuries, cerebral palsy, neurological pathologies. The patient learns to control his movements again; the machine will help to work out every movement, adjusting the load. How long do you have to train on the Lokomat? The duration of treatment depends on the initial condition of the patient, and the dynamics of improvements. The system records all indicators and rehabilitation specialist can track even minimum improvements in the movements. Using Lokomat complex cannot ensure 100% recovery of walking skills, as it is only one form of therapy. The hospital's ranking is 4.5 according to 28 patient reviews. The medical center is located in Istanbul, Turkey. The travel arrangement takes 5 days. Feel free to request Bookimed to compare the prices and costs of rehabilitation with "lokomat" in Turkey and make a shortlist of the most suitable clinics. 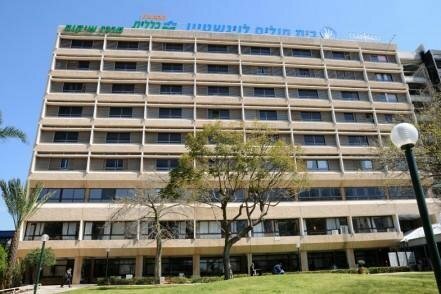 Bookimed presents you a medical rehabilitation center "Loewenstein", which is located in Raanan near Tel-Aviv. 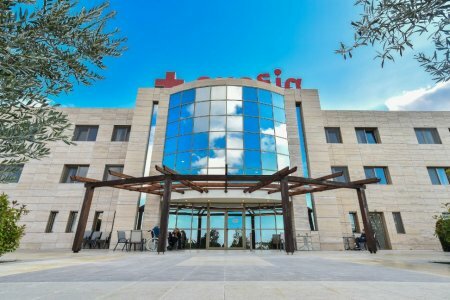 It is the largest medical facility in Israel similar direction. Here adults and children are undergoing rehabilitation after various diseases and injuries.The Center also receives victims of road accidents and terrorist attacks. 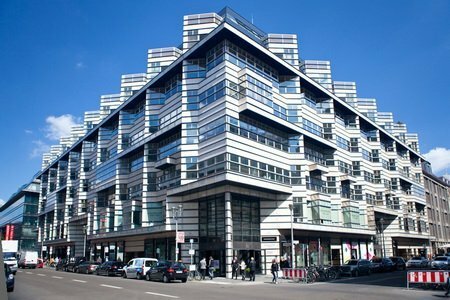 Due to its achievements in the field of medicine, the Center "Loewenstein" has international recognition. Operating personnel has a high level of qualification. The hospital's ranking is 4 according to 1 patient reviews. 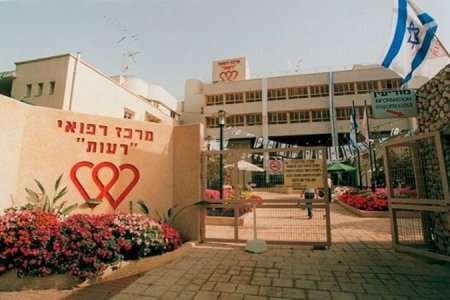 The medical center is located in Raanan, Israel. The travel arrangement takes 4 days. The medical center provides a patient with free airport-clinic transfer, paid clinic-airport transfer and translator. Feel free to request Bookimed to compare the prices and costs of rehabilitation with "lokomat" in Israel and make a shortlist of the most suitable clinics. The hospital's ranking is 4.5 according to 90 patient reviews. 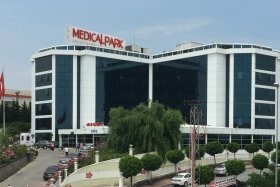 The medical center is located in Istanbul, Turkey. The travel arrangement takes 4 days. The medical center provides a patient with free airport-clinic transfer, free clinic-airport transfer and translator. Feel free to request Bookimed to compare the prices and costs of rehabilitation with "lokomat" in Turkey and make a shortlist of the most suitable clinics. Romatem Center was founded in 2005 and over the past decade has become a network of clinics specializing in physiotherapy and rehabilitation. To day, has Romatem is located in 5 Turkish cities. Romatem has got a high-tech robotic equipment and uses the latest techniques in rehabilitation of patients with different diseases and injuries. The center cooperates with many major Turkish hospitals. The hospital's ranking is 5 according to 1 patient reviews. 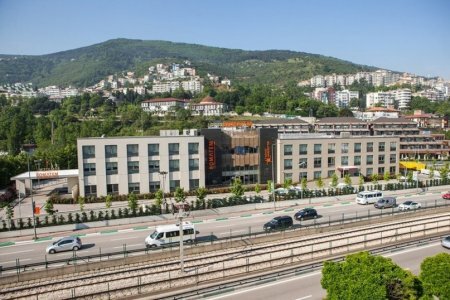 The medical center is located in Bursa, Turkey. The travel arrangement takes 5 days. Feel free to request Bookimed to compare the prices and costs of rehabilitation with "lokomat" in Turkey and make a shortlist of the most suitable clinics. The hospital's ranking is 5 according to 3 patient reviews. The medical center is located in Tel Aviv, Israel. The travel arrangement takes 5 days. Feel free to request Bookimed to compare the prices and costs of rehabilitation with "lokomat" in Israel and make a shortlist of the most suitable clinics. Patients, even in wheelchair, easily raised and fixed in a vertical position. Lokomat motors synchronized with the speed of the treadmill that provides comfortable walking. They precisely repeat movement of the limbs, thereby forming skills. The system records the number of indicators, regulates body weight and movement controls. Depending on the condition of the body, initially weight unloaded as much as possible (for example, a person with weight 80 kg at the beginning of rehabilitation uses a load on a limbs just 15 kg, the rest weight holding by Locomat), but with time the load increases to improve the effectiveness of rehabilitation. Trainings have a different duration (it determines the physical therapist or rehabilitation specialist). In many clinics during the training are using computer games (patient not just walks, but performs the tasks, passes levels), making such occupations emotionally more comfortable. Watch the video with the example classes in the system "Lokomat"
Evexia Rehabilitation Center is located directly on the Mediterranean coast at one the Greek resorts – Chalkidiki. The Center treats patients for more than 20 years and is constantly developing through implementing innovations and progressive rehabilitation techniques. Sea air, mild climate, polite personnel and luxury conditions significantly increase the effectiveness of the recovery process. The hospital's ranking is 5 according to 3 patient reviews. The medical center is located in Chalkidiki, Greece. The travel arrangement takes 5 days. The medical center provides a patient with free airport-clinic transfer, free clinic-airport transfer and translator. Feel free to request Bookimed to compare the prices and costs of rehabilitation with "lokomat" in Greece and make a shortlist of the most suitable clinics. 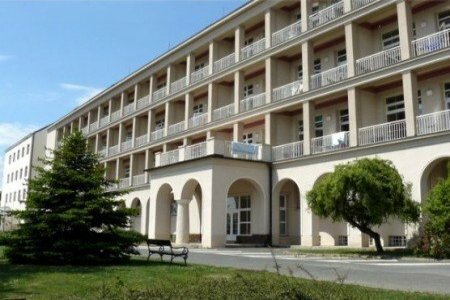 Kladruby Rehabilitation Center is a state medical facility subordinate to the Ministry of Health of the Czech Republic. The Clinic was built yet in 1938 and has experienced many changes during its existence. Finally it has turned into a Hospital maximum adapted for the needs of modern patients. 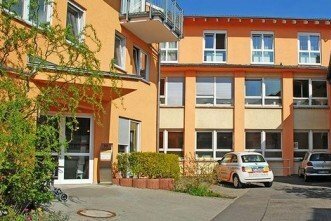 Walk Again is a private German rehabilitation center located in Berlin. It specializes in the recovery of the patients after stroke and with spinal injuries or diseases. The peculiarity of the Rehab Center is its emphasis on the robotic rehabilitation. It uses all innovative technologies necessary for the recovery of the patients with musculoskeletal disorders. Rehabilitation Center in Pforzheim (Germany), was founded by two doctors-rehabilitators, a married couple - Ryud Geerlofsom and Daniela Dorshner-Geerlofs. By combining professional expertise and the latest scientific discoveries in the field of neuroscience, they have developed a unique restorative program, which was successfully used in their center Zentrum de Rehabilitation. The hospital's ranking is 4.3 according to 4 patient reviews. The medical center is located in Pforzheim, Germany. The travel arrangement takes 5 days. Feel free to request Bookimed to compare the prices and costs of rehabilitation with "lokomat" in Germany and make a shortlist of the most suitable clinics.